Our day will begin at 8am in the vineyard picking grapes. 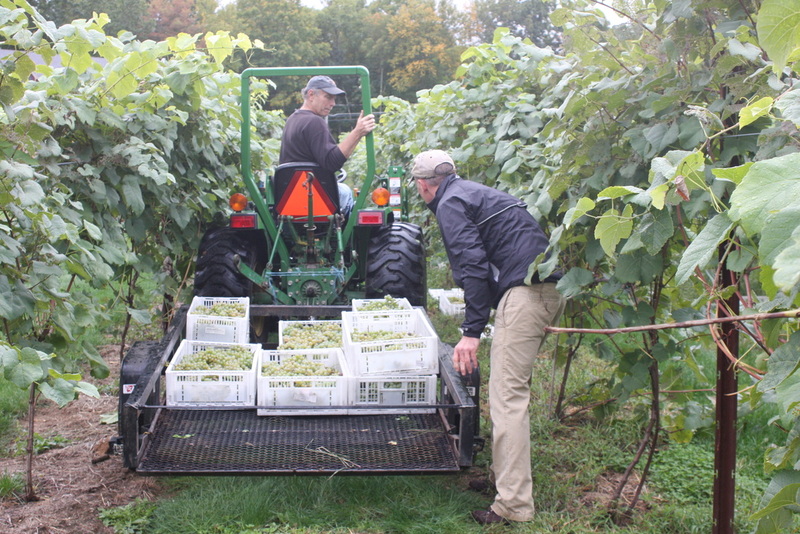 Around noon, Reverend Ginny McDaniels from First Church in Granby will bless the grapes and we move to the crush pad for crushing and pressing of the grapes just picked. Our 3rd annual Corn Hole tournament will start at noon and run through the day. 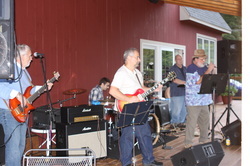 Enjoy delicious appetizers created with local farm products while trying your hand at Corn Hole, while listening to music by local favorites, John Mayock and the Homesteaders from 2:30 to 4:30. Our celebration will get into full gear around 3:30pm with the Corn Hole tournament finale. The grand prize winner will take home a basket of goodies from our local Granby Farms. 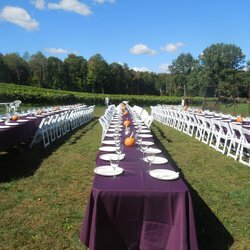 At 5pm we sit down for a family style Farm to Table dinner featuring the bounty from Lost Acres Vineyard and neighboring farms. Each guest will receive a ticket for a glass of wine with dinner. Additional wine will be available by glass or bottle til 8:30pm. After dinner, put on your dancing shoes for local favorites, Preiser & O’Brien playing our favorite dance music until 8:30pm. include dinner, music & games. Our Tasting Room will be open for wine tastings, wine sales by the glass or bottle from 11am to 3pm. At 3pm, the Tasting Room will close to the public, but wine by the glass or bottle will be available for sale for Harvest Party guests.